First in this story is the press release from the Shaw Group. BATON ROUGE, La.--(BUSINESS WIRE)--Jul. 30, 2012-- The Shaw Group Inc. (NYSE: SHAW) today announced it has signed a definitive merger agreement with CB&I (NYSE: CBI) under which CB&I will acquire Shaw in a cash and stock transaction valued at approximately $3 billion. Under the terms of the agreement, CB&I will acquire Shaw for $46.00 per share in cash and stock. Shaw’s shareholders will receive $41.00 in cash and $5.00 in CB&I equity (0.12883 shares based on an agreed upon recent average stock price of $38.81 per share) for each share of Shaw stock at closing. The combination of CB&I and Shaw will create one of the world’s largest engineering and construction companies focused on the global energy industry. Both companies believe this agreement will create value through a combined company with broader participation in a robust energy market. CB&I plans to operate Shaw as a business sector under the brand name CB&I Shaw to enable the company to retain Shaw’s brand equity and to allow the combined organization to capitalize on the resources, capacity and best practices from each group for the benefit of all stakeholders. The transaction has been approved unanimously by the boards of directors of both companies. CB&I will finance the acquisition using cash on the balance sheets of both companies, along with debt financing pursuant to commitments from Bank of America and Credit Agricole. Closing of the transaction is subject to regulatory approvals, the approval of Shaw and CB&I shareholders and other conditions. The transaction currently is expected to close during the first calendar quarter of 2013. Following the acquisition, Mr. Bernhard plans to pursue new business and public service interests. Morgan Stanley & Co. LLC is acting as Shaw’s exclusive financial advisor, and Vinson & Elkins L.L.P. and Jones, Walker, Waechter, Poitevent, Carrère & Denègre, L.L.P. are acting as legal advisors. The Shaw Group Inc. (NYSE:SHAW) is a leading global provider of engineering, construction, technology, fabrication, remediation and support services for clients in the energy, chemicals, environmental, infrastructure and emergency response industries. A Fortune 500 company with fiscal year 2011 annual revenues of $5.9 billion, Shaw has approximately 27,000 employees around the world and is a power sector industry leader according to Engineering News-Record’s list of Top 500 Design Firms. For more information, please visit Shaw’s website at www.shawgrp.com. CB&I (NYSE: CBI) engineers and constructs some of the world’s largest energy infrastructure projects. With premier process technology from its Lummus Technology business, proven EPC expertise, and unrivaled storage tank experience, CB&I executes projects from concept to completion. Safely. Reliably. Globally. For more information, visit www.cbi.com. This communication does not constitute an offer to sell or the solicitation of an offer to buy any securities or a solicitation of any vote or approval. Chicago Bridge & Iron Company N.V. (“CB&I”) will file with the Securities and Exchange Commission (“SEC”) a registration statement on Form S-4 that will include a proxy statement of The Shaw Group Inc. (“Shaw”) that also constitutes a prospectus of CB&I. CB&I and Shaw also plan to file other documents with the SEC regarding the proposed agreement. A definitive joint proxy statement/prospectus will be mailed to shareholders of Shaw. INVESTORS AND SECURITY HOLDERS OF SHAW ARE URGED TO READ THE JOINT PROXY STATEMENT/PROSPECTUS AND OTHER DOCUMENTS THAT WILL BE FILED WITH THE SEC CAREFULLY AND IN THEIR ENTIRETY WHEN THEY BECOME AVAILABLE BECAUSE THEY WILL CONTAIN IMPORTANT INFORMATION ABOUT THE PROPOSED TRANSACTION. Investors and shareholders will be able to obtain free copies of the joint proxy statement/prospectus and other documents containing important information about CB&I and Shaw, once such documents are filed with the SEC, through the website maintained by the SEC at http://www.sec.gov. Copies of the documents filed with the SEC by CB&I will be available free of charge on CB&I’s internet website at www.cbi.com under the tab “Investor Relations” and then under the tab “SEC Documents” or by contacting CB&I’s Investor Relations Department at 832-513-1200. Copies of the documents filed with the SEC by Shaw will be available free of charge on Shaw’s internet website at www.shawgrp.com under the tab “Investor Relations” and then under the tab “SEC Filings” or by contacting Shaw’s Investor Relations Department at 225-987-7372. CB&I, Shaw, their respective directors and certain of their executive officers may be deemed to be participants in the solicitation of proxies from the shareholders of Shaw in connection with the proposed transaction. Information about the directors and executive officers of Shaw is set forth in Shaw’s proxy statement for its 2012 annual meeting of shareholders, which was filed with the SEC on December 15, 2012. Information about the directors and executive officers of CB&I is set forth in CB&I’s proxy statement for its 2012 annual meeting of shareholders, which was filed with the SEC on March 22, 2012. Other information regarding the participants in the proxy solicitation and a description of their direct and indirect interests, by security holdings or otherwise, will be contained in the joint proxy statement/prospectus and other relevant materials to be filed with the SEC when they become available. This press release contains forward-looking statements and information about our current and future prospects and our operations and financial results, which are based on currently available information. The forward looking statements include assumptions about our operations, such as cost controls and market conditions, and the proposed merger (including its benefits, results, effects and timing) that may not be realized. Risks and uncertainties related to the merger include, but are not limited to: the failure of the shareholders of CB&I or the shareholders of Shaw to approve the merger; the risk that the conditions to the closing of the merger are not satisfied; the risk that regulatory approvals required for the merger are not obtained or are obtained subject to conditions that are not anticipated; potential adverse reactions or changes to business relationships resulting from the announcement or completion of the merger; uncertainties as to the timing of the merger; competitive responses to the proposed merger; costs and difficulties related to the integration of Shaw’s businesses and operations with CB&I’s business and operations; the inability to or delay in obtaining cost savings and synergies from the merger; unexpected costs, charges or expenses resulting from the merger; litigation relating to the merger; the inability to retain key personnel; and any changes in general economic and/or industry specific conditions Actual future results and financial performance could vary significantly from those anticipated in such statements. We undertake no obligation to update or revise any forward-looking statements, whether as a result of new information, the occurrence of certain events or otherwise. Among the factors that could cause future events or transactions to differ from those we expect are those risks discussed under Item 1A “Risk Factors” in our Annual Report on Form 10-K for the fiscal year ended August 31, 2011, our Quarterly Reports on Form 10-Q for the quarters ended November 30, 2011, February 29, 2012, and May 31, 2012, and other reports filed with the Securities and Exchange Commission (SEC). Please read our “Risk Factors” and other cautionary statements contained in these filings. As a result of these risks and others, actual results could vary significantly from those anticipated in this press release, and our financial condition and results of operations could be materially adversely affected. Source: The Shaw Group Inc.
"Safe Harbor" Statement under the Private Securities Litigation Reform Act of 1995: Statements in this press release regarding SHAW GROUP INC's business which are not historical facts are "forward-looking statements" that involve risks and uncertainties. For a discussion of such risks and uncertainties, which could cause actual results to differ from those contained in the forward-looking statements, see "Risk Factors" in the Company's Annual Report or Form 10-K for the most recently ended fiscal year. Bloomberg's article and analysis - click here. Interesting analysis on Investopedia - click here. THE WOODLANDS, Texas--(BUSINESS WIRE)--Jul. 30, 2012-- CB&I (NYSE: CBI) announced today that it has entered into a definitive agreement to acquire Shaw Group (NYSE: SHAW), a Fortune 500 company primarily focused on serving clients in the power generation and government services sector. The acquisition is expected to close in early 2013. Combining CB&I and Shaw will create one of the most complete energy focused technology, engineering, procurement, fabrication, construction, maintenance, and associated services companies in the world. With a global workforce of nearly 50,000 employees, backlog of over $28 billion, and engineering and fabrication facilities strategically located on all continents, the company will have the critical mass necessary to execute the largest energy infrastructure projects now and into the future. CB&I will acquire Shaw for $46.00 per share in cash and stock. Shareholders will receive $41.00 in cash and $5.00 in CB&I equity (0.12883 shares based on an agreed upon recent average stock price of $38.81 per share) for each share of Shaw stock at closing. CB&I will use cash on the balance sheets of both companies, along with approximately $1.9 billion in debt to finance the acquisition. Based on the estimated cash position of Shaw at the end of its August 31, 2012 fiscal year, this equates to an enterprise value of approximately $2.0 billion. Using consensus estimates, the implied transaction multiple is 7.0x Shaw’s fiscal 2012 adjusted EBITDA. First year earnings per share are anticipated to be double-digit accretive before transaction related costs. The acquisition of Shaw Group by CB&I has been unanimously approved by the Directors of the respective company’s boards. The transaction is subject to approval by each company’s shareholders, along with the receipt of certain regulatory approvals and the satisfaction of other customary closing conditions. Philip K. Asherman will continue as President and CEO of the combined company. CB&I plans to operate Shaw as a business sector under the brand name CB&I Shaw. This will enable the company to retain Shaw’s brand equity, particularly in the power industry, and it will allow the combined organization to capitalize on the resources, capabilities, and best practices from each group for the benefit of all stakeholders. Bank of America Merrill Lynch is acting as the financial advisor to CB&I, and Wachtell, Lipton, Rosen & Katz is acting as the Company’s legal counsel. CB&I will host a conference call Monday, July 30, 2012 at 7:30 a.m. CDT (8:30 a.m. EDT) to discuss the acquisition. The webcast will be available at www.CBI.comInvestor Relations. Please log on to the website at least 15 minutes prior to the start of the call to register and download any necessary audio software. The conference call also can be accessed by telephone at 1-800-301-8321 (U.S.) or +1-706-634-2259 (outside the U.S.). ID#: 16199456. A replay of the conference call will be available at www.CBI.comInvestor Relations or by calling 1-855-859-2056 (U.S.) or +1-404-537-3406 (outside the U.S.) through October 31, 2012. ID#: 16199456. CB&I (NYSE:CBI) engineers and constructs some of the world’s largest energy infrastructure projects. With premier process technology, proven EPC expertise, and unrivaled storage tank experience, CB&I executes projects from concept to completion. Safely. Reliably. Globally. For more information, visit www.CBI.com. The Shaw Group Inc. (NYSE: SHAW) is a leading global provider of engineering, construction, technology, fabrication, remediation and support services for clients in the energy, chemicals, environmental, infrastructure and emergency response industries. A Fortune 500 company with fiscal year 2011 annual revenues of $5.9 billion, Shaw has approximately 27,000 employees around the world and is a power sector industry leader according to Engineering News-Record’s list of Top 500 Design Firms. For more information, please visit Shaw’s website at www.shawgrp.com. This communication does not constitute an offer to sell or the solicitation of an offer to buy any securities or a solicitation of any vote or approval. In connection with the proposed transaction, Chicago Bridge & Iron Company N.V. (“CB&I”) expects to file with the Securities and Exchange Commission (“SEC”) a registration statement on Form S-4 that will include a joint proxy statement of The Shaw Group Inc. (“Shaw”) and CB&I that also constitutes a prospectus of CB&I. CB&I and Shaw also plan to file other documents with the SEC regarding the proposed transaction. A definitive joint proxy statement/prospectus will be mailed to shareholders of Shaw and CB&I. INVESTORS AND SECURITY HOLDERS OF SHAW AND CB&I ARE URGED TO READ THE JOINT PROXY STATEMENT/PROSPECTUS (INCLUDING ANY AMENDMENTS OR SUPPLEMENTS THERETO) AND OTHER DOCUMENTS THAT WILL BE FILED WITH THE SEC CAREFULLY AND IN THEIR ENTIRETY WHEN THEY BECOME AVAILABLE BECAUSE THEY WILL CONTAIN IMPORTANT INFORMATION ABOUT THE PROPOSED TRANSACTION. Investors and shareholders will be able to obtain free copies of the joint proxy statement/prospectus and other relevant documents filed by CB&I and Shaw, once such documents are filed with the SEC, through the website maintained by the SEC at http://www.sec.gov. Copies of the documents filed with the SEC by CB&I will be available free of charge on CB&I’s internet website at www.cbi.com under the tab “Investor Relations” and then under the tab “SEC Documents” or by contacting CB&I’s Investor Relations Department at 832-513-1200. Copies of the documents filed with the SEC by Shaw will be available free of charge on Shaw’s internet website at www.Shawgrp.com under the tab “Investor Relations” and then under the tab “SEC Filings” or by contacting Shaw’s Investor Relations Department at 225-987-7372. CB&I, Shaw, and their respective directors and executive officers may be deemed to be participants in the solicitation of proxies from the shareholders of Shaw and CB&I in connection with the proposed transaction. Information about the directors and executive officers of Shaw is set forth in Shaw’s proxy statement for its 2011 annual meeting of shareholders, which was filed with the SEC on December 15, 2011. Information about the directors and executive officers of CB&I is set forth in CB&I’s proxy statement for its 2012 annual meeting of shareholders, which was filed with the SEC on March 22, 2012. Other information regarding the participants in the proxy solicitation and a description of their direct and indirect interests, by security holdings or otherwise, will be contained in the joint proxy statement/prospectus and other relevant materials to be filed with the SEC in connection with the proposed transaction if and when they become available. This press release contains forward-looking statements and information about our current and future prospects and our operations and financial results, which are based on currently available information. Actual future results and financial performance could vary significantly from those anticipated in such statements. The forward looking statements include assumptions about our operations, such as cost controls and market conditions, and the proposed merger (including its benefits, results, effects and timing) that may not be realized. Risks and uncertainties related to the merger include, but are not limited to: the failure of the shareholders of CB&I or the shareholders of Shaw to approve the merger; the risk that the conditions to the closing of the merger are not satisfied; the risk that regulatory approvals required for the merger are not obtained or are obtained subject to conditions that are not anticipated; potential adverse reactions or changes to business relationships resulting from the announcement or completion of the merger; uncertainties as to the timing of the merger; competitive responses to the proposed merger; costs and difficulties related to the integration of Shaw’s businesses and operations with CB&I’s business and operations; the inability to obtain, or delays in obtaining, cost savings and synergies from the merger; unexpected costs, charges or expenses resulting from the merger; litigation relating to the merger; the inability to retain key personnel; and any changes in general economic and/or industry specific conditions. Additional factors that could cause future results or events to differ from those we expect are those risks discussed under Item 1A “Risk Factors” in our Annual Report on Form 10-K for the fiscal year ended December 31, 2011, our Quarterly Reports on Form 10-Q for the quarters ended March 31, 2012, and June 30, 2012, and other reports filed with the Securities and Exchange Commission (SEC). Please read our “Risk Factors” and other cautionary statements contained in these filings. We undertake no obligation to update or revise any forward-looking statements, whether as a result of new information, the occurrence of certain events or otherwise. As a result of these risks and others, actual results could vary significantly from those anticipated in this press release, and our financial condition and results of operations could be materially adversely affected. Visit www.CBI.com to access an online media kit regarding the acquisition. Below is a press release APR has received courtesy of Jeff Caldwell at the Governor's office, Virginia. LYNCHBURG – Governor McDonnell is pleased to join The Babcock & Wilcox Company (B&W), one of America’s foremost developers of clean energy technology, in announcing the opening of the B&W mPowerTM Fuel Technology Center (FTC), an advanced nuclear fuel fabrication technology development facility in Lynchburg, VA. B&W’s Fuel Technology Center in Lynchburg will bring a dozen new direct jobs to the region, and benefit the local economy by fabricating most of the custom equipment for the facility locally. Importantly, it will help lay the foundation for significant potential investment and job growth in Virginia in the future, to serve both the U.S. and global energy markets. Senior Economic Advisor Bob Sledd represented Governor McDonnell at the official opening ceremony. The center marks the third major development in Virginia related to B&W’s small modular reactor (SMR) program since 2010, including a dedicated design facility and Integrated Systems Test (IST) facility. These developments, supported in part by grant funding for the IST facility from the Virginia Tobacco Indemnification and Revitalization Commission, have already created about 150 technology jobs in the state. In addition, 29 Virginia supplier companies are poised to supply the B&W mPower reactor program as it moves from design to manufacturing. Reflecting the importance of this new facility and its research, Governor McDonnell asked his senior economic advisor Bob Sledd to help cut the ribbon on the new facility. His delegation joins U.S. Congressman Bob Goodlatte, several local officials and Chris Mowry, the President of Babcock & Wilcox mPower, Inc. to celebrate this milestone. Below is a press release direct to APR from Babcock & Wilcox. (LYNCHBURG, Va. – July 30, 2012) –The Babcock & Wilcox Company (B&W) (NYSE:BWC) was joined by Representative Bob Goodlatte (VA-6) and Bob Sledd, Senior Economic Advisor to the Governor of Virginia, for a ribbon-cutting ceremony today at the new B&W mPower™ Fuel Technology Center (FTC) in Lynchburg, Va. The advanced manufacturing technologies B&W will use to produce nuclear fuel for its B&W mPower small modular reactor (SMR) will be developed and qualified at the FTC. Longer term, the technologies developed at the FTC give B&W the ability to support the manufacture of fuel for other reactors. This newly dedicated facility marks the third major infrastructure development project in Virginia related to the B&W mPower reactor, including the establishment of a dedicated design office in 2010 and an Integrated System Test facility in 2011. To date, B&W has invested more than $5 million in the FTC. The facility includes state-of-the-art robotics, inspection and welding equipment. No nuclear material is used at the facility. B&W cautions that statements in this release that are not historical fact may constitute forward-looking statements, including statements relating to the use of the B&W mPower™ Fuel Technology Center. These forward-looking statements involve a number of risks and uncertainties, including, among other things, delays in or adverse changes relating to the funding B&W mPower research and development efforts and adverse changes in the supply of or demand for nuclear power. If one or more of these or other risks materialize, actual results may vary materially from those expected. For a more complete discussion of these and other risk factors, please see B&W's filings with the Securities and Exchange Commission, including its annual report on Form 10-K for the year ended December 31, 2011. B&W cautions not to place undue reliance on these forward-looking statements, which speak only as of the date hereof, and undertakes no obligation to update or revise any forward-looking statement, except to the extent required by applicable law. Atomic Power Review is proud to again host the rotating Carnival of Nuclear Bloggers - a feature that week in, week out showcases the very best of the pro-nuclear blogging world. I've said many times that following this feature around the blogs is the best way to find out what is really on the top of the nuclear energy world's mind and that holds true this week as well. We all know by now that access to the Carnival entries whenever this event takes place on APR is blocked by some sort of obscure image from the APR vault, which you're asked to identify later on. So let's get to it! Hint: The plant to which this piece of equipment relates was in the news this month, although not incredibly widely. So... What is this? Meredith submits two entries this week - one at Yes Vermont Yankee and one at the ANS Nuclear Cafe blog. San Onofre Generating Station (SONGS) installed new steam generators, and the generators have serious problems. Arnie Gundersen has been hired by Friends of the Earth to write reports (pessimistic of course) on the extent of those problems. 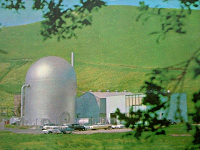 On radio in California,Gundersen asserted that he isn't an anti-nuclear activist because he signed a report approving of continued operation of Vermont Yankee. Gundersen as a Vermont Yankee supporter came as a surprise to Meredith Angwin of Yes Vermont Yankee. At ANS Nuclear Cafe, Meredith Angwin describes a recent meeting of the Vermont State Nuclear Advisory Panel. The panel's main topic was nuclear safety, despite the fact that a recent lawsuit re-affirmed that the state has no jurisdiction over nuclear safety. It was deja vu all over again. The Diet’s NAIIC report’s executive summary seems largely spot-on, drawing only a few questionable conclusions (e.g. keeping the earthquake-as-cause notion open). However, one serious mistake cries out to be exposed. Concerning the IC condenser stoppage on unit #1, the report calls Tepco's actions "irrational". The F. Daiichi unit #1staff’s actions and Tepco’s explanations were entirely correct. On the other hand, questioning the actions of the staff and calling Tepco’s explanations irrational is an exercise in ignorance. Gail Marcus, writing at Nuke Power Talk, praises a publication by Japan Atomic Industrial Forum (JAIF) President Takuya Hattori urging the Japanese government to conduct the decommissioning of the damaged Fukushima units openly, transparently, and with international involvement. His comments come amidst concern that the Japanese government may be exhibiting reluctance to work together with the international community on this critical effort. Among other points Hattori-san makes are that the effort will benefit from the united wisdom of the world, and the world will benefit from the shared knowledge to be gained. His specific proposals call for a platform for international R&D and an international decommissioning research center to be established. The race for DOE's $452 million in SMR money heats up in Ohio. B&W inks MOU with First Energy for economic, siting, and licensing studies. Brian this week has submitted a number of interesting articles on reactor restarts or first startups. South Korea's Shin Kori 2 has begun commercial operation, Canada Bruce A Unit 1 has been permitted to restart, US nuclear uprate status and Russia And Belurus sign a $10 billion deal for new nuclear reactors. It appears that China is in the lead to build the new nuclear reactors in the UK. Eric McErlain sends along a number of submissions from NEI Nuclear Notes this week covering a range of topics. Westinghouse SVP Dan Lipman talks to the Global America Business Institute about the growing relationship between the two nations in civilian nuclear energy. 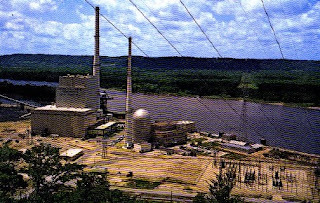 Political leaders in Missouri excited over prospect of DOE grant on small modular reactors. Brad Plumer of the Washington Post tried to find something sinister in nuclear plant uprates, but NEI's Mark Flanagan snuffs him out. In April 2011, the Worldwatch Institute predicted a rocky future for nuclear energy, but the most recent report from the OECD shows the predicited slowdown never occurred. After a conversation with a colleague who is also a qualified lead NQA auditor, Margaret Harding muses about the idea of updating the quality regulations to a more modern approach that acknowledge other industry standards as opposed to the “go it alone” approach that the NRC takes today. "Climate Change and Nuclear Energy: We Need to Talk"
Nuclear power advocate Suzy Hobbs Baker speaks out on behalf of the threatened biosystems in the earth's acidifying oceans, and the people who are bearing the brunt of intensifying global climate change -- and in favor of the nuclear community emphasizing the essential role of nuclear technologies in reducing greenhouse gas emissions. Last week, Professor Mark Z. Jacobson, a professor of civil and environmental engineering at Stanford University, stepped way outside of his area of expertise by publishing a paper titled Worldwide health effects of the Fukushima Daiichi nuclear accident that claimed to quantify the number of cancers that may be caused by the radioactive material released by the Fukushima nuclear reactor plant core damage events. He is a respected atmospheric modeler who has specialized in creating multi variable modeles for the dispersal of particulate matter, but he has little or no background in radiation biology or in studying the health effects of radiation. The Atomic Show #185 – Is Thorium Superior to Uranium? On July 23, 2012, Rod Adams talked with Richard Martin, the author of SuperFuel: Thorium, the Green Energy Source for the Future and Kirk Sorensen, the co-founder and chief technology officer of Flibe Energy, a start-up company formed to “develop small modular reactors based on liquid-fluoride thorium reactor (LFTR) technology.” Kirk is also the founder of Energy from Thorium. That's it for this week's entries. I would like to note again the wide range of topical material covered this week - from rad health issues, to alternative reactor technologies, to startups of both brand new and shut down plants and more. There's even a provocative piece on global warming and how that relates to nuclear energy advocacy. It's probably not possible to get such a wide range of realistic views on energy generation and related issues every week anywhere else. "Genoa, Wis., Feb 17- REACTOR ARRIVES - This 100 ton nuclear reactor pressure vessel for the La Crosse Boiling Water Reactor power plant dwarfs Owen Hockensmith, left, Maxon Construction of Dayton, Ohio, and E. L. Corrances, construction manager, Atomic Energy Division, Allis-Chalmers. 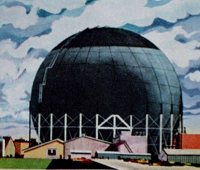 The reactor was built by A-C under contract with the Atomic Energy Commission for the Dairyland Power Co-Op." LaCrosse Tribune, with great photos and details. Wisconsin State Journal - brief article with good photo. The plant was officially rated at 155 MWt, 60 MWe gross and 50 MWe net. It was ordered under the AEC's demonstration program in the second round as an "Improved Cycle BWR." The plant had forced circulation, operated on the direct cycle with a single-pass single-zone (all identical fuel load) core. The plant contracts between the AEC, Dairyland Power and Allis-Chalmers were signed in 1962, with a planned initial criticality of late 1965 but which had been postponed until August 1966 within a short time, and subsequent scheduled full power operation in November 1966. However, the plant did not achieve initial criticality until July 11, 1967 and first generated power on April 26, 1968. Many problems were encountered during the years 1968 and 1969, and for the first third of 1970 so that the plant did not begin to generate significant amounts of electricity for the grid until around May of 1970. In contrast, above linked articles indicate that plant operators thought the design good and in later years the plant was quite reliable. In case you're wondering, the reactor vessel shown in the photo earlier had an inside diameter of 8 feet 3 inches and was 37 feet tall. The vessel itself was 4 inches thick with an internal cladding of stainless steel .188 inches thick. Finally we'll show a couple photos of the plant that long time readers of APR have seen before, but which I'll include for completeness. 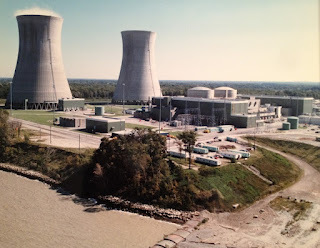 The first is a photo of the LaCrosse BWR plant (Dairyland Power Co-Op No. 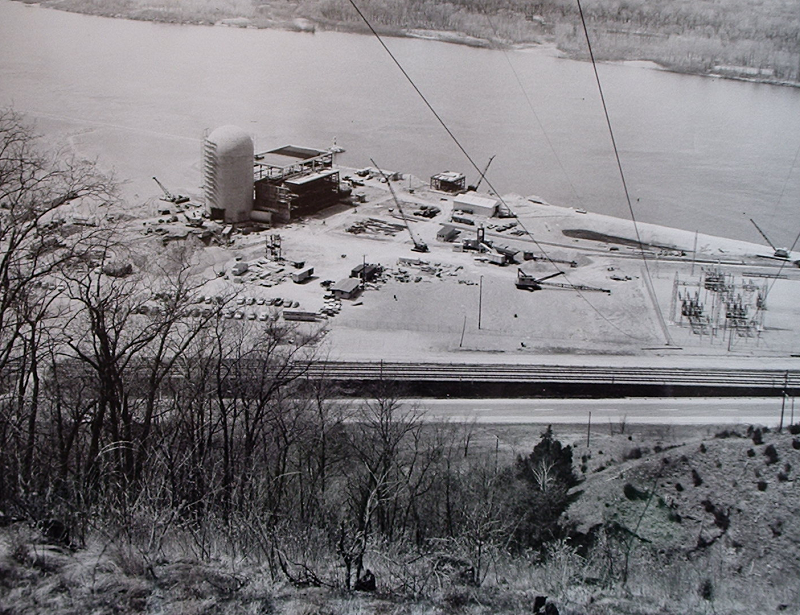 2) under construction in May, 1964. The last shot is a post card view of the completed plant as it appeared for many years; next to it is the larger Genoa No. 3 fossil fired plant. That's it for Carnival 115! We all hope you've enjoyed the ride. LACBWR data from Battelle BNWL-326 and AEC WASH-1203-73. Below is a press release direct to APR from Babcock & Wilcox, courtesy Jud Simmons of Babcock & Wilcox. (CHARLOTTE, N.C. – July 25, 2012) –The Babcock & Wilcox Company (B&W) (NYSE: BWC) and FirstEnergy Corp. (NYSE: FE) announced today that FirstEnergy and a B&W subsidiary, Generation mPower LLC (GmP), have signed a Memorandum of Understanding regarding studies on the potential deployment of the B&W mPowerTM small modular reactor in FirstEnergy’s service territory. FirstEnergy and GmP plan to work together to perform an independent financial review of mPower economics, evaluate several alternative potential sites for construction of B&W mPower plants, complete a preliminary pre-licensing analysis, and assess the need and timing for prospective deployment of B&W mPower plants in the FirstEnergy generation fleet. The B&W mPower SMR is an advanced 180 MWe utility-scale nuclear reactor that incorporates robust, inherently safe protection systems and a fully underground containment structure. The mPower design maximizes the use of proven, mature systems and components within an innovative plant architecture that reduces construction risks and minimizes ownership costs. “Sustained economic growth and job creation in the United States will require a domestic supply of safe, reliable, and cost-effective energy,” said Sen. Rob Portman (OH). “One or more small modular reactors in our state could not only provide this energy need, but would continue to support advanced energy careers in Ohio. I applaud FirstEnergy and Generation mPower for their commitment to advanced energy development and our nation's energy security." FirstEnergy is a diversified energy company dedicated to safety, reliability and operational excellence. Its 10 electric distribution companies comprise one of the nation's largest investor-owned electric systems. Its diverse generating fleet features non-emitting nuclear, scrubbed baseload coal, natural gas, and pumped-storage hydro and other renewables, and has a total generating capacity of nearly 23,000 megawatts. B&W cautions that this release contains forward-looking statements related to the Memorandum of Understanding and GmP’s plans with FirstEnergy thereunder. These forward-looking statements involve a number of risks and uncertainties, including, among other things, that transactions currently contemplated by GmP and FirstEnergy may change materially during further good faith efforts to negotiate a mutually acceptable definitive agreement or that a definitive binding agreement may not be entered into if GmP and FirstEnergy fail to reach agreement on any material term. If one or more of these or other risks materialize, actual results may vary materially from those expressed. For a more complete discussion of these and other risk factors, please see B&W's filings with the Securities and Exchange Commission, including its annual report on Form 10-K for the year ended December 31, 2011. B&W cautions not to place undue reliance on these forward-looking statements, which speak only as of the date hereof, and undertakes no obligation to update or revise any forward-looking statement, except to the extent required by applicable law. Below is a press release from Westinghouse. Some comment from APR follows. PITTSBURGH, July 23, 2012 /PRNewswire/ -- Westinghouse Electric Company today announced that it would prepare for Ontario Power Generation Inc. (OPG) detailed construction plans, schedules and cost estimates for two potential AP1000 nuclear reactors at OPG's Darlington site. The plans and estimates would provide significant input in helping the Province of Ontario determine the baseload generation option that is best for Ontario's ratepayers. "Westinghouse is pleased to participate in the Province's information-gathering process," said Joe Zwetolitz, president, Westinghouse Americas. "Should the Province select our AP1000 as the preferred option, we believe that Ontario's infrastructure could become even more energy self-sufficient, creating local Canadian jobs during construction and opportunities for involving Canadian suppliers on this and future nuclear projects elsewhere in the world." As further evidence of a commitment to the Canadian new build market, and to better serve existing customers, strengthen ties with suppliers, and align Westinghouse more appropriately with the regulations and requirements of Canada to meet growing business opportunities, Westinghouse is also pleased to announce the opening of the Westinghouse Electric Canada, Inc. office in Toronto. "The formation of a Canadian entity earlier this year was consistent with our strategy to increase business in the country," said Zwetolitz. "With the opening of the Westinghouse Canada office in Toronto, we now have become more a part of Canada's viable nuclear energy industry." Approximately 100 Canadian suppliers currently provide a wide range of products and services for the Westinghouse product lines of Fuel, Services, Automation, and Nuclear Power Plants. Additionally, a large percentage of the scope for the potential construction of AP1000 reactor units at Darlington would be sourced from Ontario or elsewhere in Canada, resulting in the opportunity to work with and qualify additional Canadian businesses and manufacturers to participate in the potential new build at Darlington and in other global nuclear projects. Four AP1000 units are currently under construction at two sites in China and four units are under construction at two sites in the U.S. At each of these four sites, upwards of 3,500 construction workers are employed during the peak of construction activities. Once construction is complete, operation of a two-unit AP1000 nuclear plant requires up to 700 employees. Westinghouse Electric Company, a group company of Toshiba Corporation (TKY:6502), is the world's pioneering nuclear energy company and is a leading supplier of nuclear plant products and technologies to utilities throughout the world. 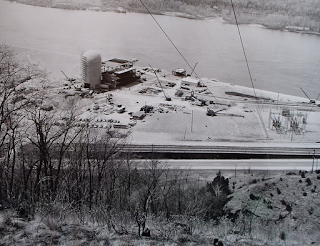 Westinghouse supplied the world's first pressurized water reactor in 1957 in Shippingport, Pa., USA. Today, Westinghouse technology is the basis for approximately one-half of the world's operating nuclear plants, including 60 percent of those in the United States. This is a very interesting prospect. As the press release notes, there are eight AP1000 plants under construction worldwide right now; there may or may not be two more under construction here in the United States in the predictable future, making ten. Adding two Canadian plants would make twelve. Someone, somewhere, must be thinking about the Westinghouse SNUPPS design and the cost benefits that it was supposed to confer because of the large number of units to be constructed at one time. (Only two were ever finished.) Although it's highly speculative, it would be fascinating to see what projected costs for various components do as the number of plants ordered continues to increase. NEI has posted three new brief videos on its YouTube channel (these are also "favorited" on the APR YouTube channel) which answer some of the recent charges and questions about the cost of the new nuclear plants being built in the United States. All three videos feature Steve Byrne of South Carolina Electric & Gas. The first video addresses the charges that the new nuclear plants are over budget as a result of recent statements by the companies involved in their construction and newly released cost estimates. The second video addresses the reduction in total cost made possible by CWIP provisions applied to the four plants presently under construction. The third video briefly explains why we can expect present and future nuclear plant construction projects to come in under budget when compared with older nuclear builds which did not. I applaud NEI for posting these; they give brief, concise reasons why no one should panic about the construction costs of the present working projects and how they might doom future nuclear builds - at least, on the large commercial scale - for the future. Below is a press release from Southern California Edison. ROSEMEAD, Calif., July 19, 2012 — Southern California Edison (SCE) has received the Nuclear Regulatory Commission (NRC) Augmented Inspection Team report regarding the unusual degradation of steam generator tubes in the San Onofre Nuclear Generating Station (SONGS) Units 2 and 3. The report provides comprehensive information on the issue, including the response actions by the SCE plant operators to the tube leak in Unit 3, the causes of the wear and the outstanding issues that the inspection team is still reviewing. SCE understands that the tube-to-tube contact arises from excessive vibration of the tubes in certain areas of the steam generators. The excessive vibration is believed to be caused by a phenomenon called fluid elastic instability which results from the interaction of a combination of factors, including steam velocity, moisture content of the steam and effectiveness of the supports in the areas where the vibration occurs. The report notes that SCE plant operators responded in a manner that protected public health and safety and that the commission’s onsite inspectors observed conservative decision-making and the appropriate questioning attitude displayed by the operators during the event. Additionally, the commission report states that the steam generator design changes were appropriately reviewed in accordance with the 10 CFR 50.59 requirements, which govern design changes between original and replacement steam generators, noting that the changes at SONGS are common in replacement steam generators today. The report also stated that, with the exception of the wear found at the tube retainer bar locations, the wear related to support structures is similar to wear found at other replacement steam generators after one cycle of operation. SCE continues to work on its response to the commission’s Confirmatory Action Letter, the formal step in the process of restarting Units 2 and 3. The company will not restart the units until the utility and the commission are satisfied it is safe to do so. Both SONGS units are currently safely shut down for inspections, analysis and testing. Unit 2 was taken out of service Jan. 9 for a planned outage. Unit 3 was safely taken offline Jan. 31 after station operators detected a leak in a steam generator tube. The full report from the NRC can be found by clicking here. Below is a press release from Babcock & Wilcox. (CHARLOTTE, N.C. – July 18, 2012) –The Babcock & Wilcox Company (B&W) (NYSE:BWC) announced today that its B&W mPower™ reactor Integrated System Test (IST) facility has achieved full operating conditions. The IST is the world’s only operational, design-specific test facility for a small modular reactor design. The IST is a purpose-built, full-scale facility designed and built to test and evaluate the B&W mPower reactor’s design and performance. The reactor is heated electrically in order to simulate the energy generated by a real nuclear core. IST construction started in March of 2010, and it was commissioned in February 2012. Since its commissioning, the facility has undergone a rigorous start-up test and power ascension program that has now culminated in achieving full reactor operating pressure and temperature conditions for both the primary and secondary systems. The IST has already gathered critical data regarding the B&W mPower integral reactor, with plans to focus on the thermal hydraulic performance of the unique B&W once through steam generator next. The facility is located at the Center for Advanced Engineering and Research in Bedford County, Va.
Below is a press release from FirstEnergy. AKRON, Ohio, July 17, 2012 -- FirstEnergy Nuclear Operating Company (FENOC), a subsidiary of FirstEnergy Corp. (NYSE: FE), today announced that construction of the Emergency Operations Facility for its Perry Nuclear Power Plant has been completed. The new 12,000-square-foot facility supports overall management of activities related to maintaining public health and safety during the unlikely event of an emergency at the plant. The facility also will be used by Perry's emergency response organization during quarterly training drills and bi-annual exercises evaluated by the Nuclear Regulatory Commission and the Federal Emergency Management Agency to assist our preparedness to respond to an emergency. "The new Emergency Operations Facility underscores Perry and FENOC's commitment to protecting public health and safety, and supports timely and efficient communications with emergency responders in the unlikely event of an emergency at the plant," said Vito Kaminskas, vice president of Perry Nuclear Power Plant. Features of the new state-of-the-art Emergency Operations Facility include: enhanced technologies that aid in timely monitoring and collection of environmental data; a secured, online database for sharing plant conditions and other event information in real time between company, local, county and state emergency responders; updated computer equipment; and diverse telecommunications technology to enhance communications capabilities. In addition, multiple power supplies are designed to ensure the facility will not be affected by a power failure. Located in Concord, Ohio, the facility replaces an existing Emergency Operations Facility located on site at the Perry plant. FirstEnergy is a diversified energy company headquartered in Akron, Ohio. Its FENOC subsidiary also operates the Beaver Valley Power Plant in Shippingport, Pa., and the Davis-Besse Nuclear Power Station in Oak Harbor, Ohio. Below, a photo from the APR collection which was distributed over ten years ago with public relations materials and plant specs. This photo shows the Perry Nuclear Power Plant, with Unit 1 nearer the camera (this is the unit closer to Lake Erie.) The other unit, Unit 2 was suspended when about 45% complete and has never been finished. 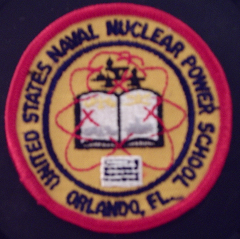 Perry Unit 1 is a GE BWR/6 reactor in a Mk III containment building. The plant was originally rated at 1205 MWe but has been uprated more than once so that, today, the plant's rating is 1260 MWe. ROSEMEAD, Calif., July 13, 2012 — Southern California Edison (SCE) has released steam generator tube wear data associated with the San Onofre Nuclear Generating Station (SONGS) to the Nuclear Regulatory Commission. The data show that most of the wear, or tube wall thinning, was less than 20 percent. This is far below the 35 percent wall-thinning limit, which would require that the tube be plugged. The majority of this wear is related to support structures. The nature of the support structure wear is not unusual in new steam generators and is part of the equipment settling in. The data include the various types of wear on the tubes and the number of tubes affected. There were three major categories of wear: anti-vibration bar wear, tube support plate wear and tube-to-tube wear. Two minor categories of wear were also included: retainer bar wear and wear due to a foreign object. The foreign object wear, also not unusual in new steam generators, was only found in Unit 2 and was caused by a piece of welding material about the size of a quarter rubbing against two tubes. •In Unit 2, 1,595 tubes showed wear of some type and 510 tubes were ultimately plugged — six tubes for showing wear of more than 35 percent and the rest for preventative measures. •In Unit 3, 1,806 tubes showed wear of some type and 807 tubes were ultimately plugged — 381 tubes for wear of more than 35 percent and the rest for preventative measures. The complete data for both units is available on the commission website for SONGS information: www.nrc.gov/info-finder/reactor/songs/tube-degradation.html. Both units of the plant are currently safely shut down for inspections, analysis and tests. Unit 2 was taken out of service Jan. 9 for a planned outage. Unit 3 was safely taken offline Jan. 31 after station operators detected a leak in a steam generator tube. The units will remain shut down until SCE and the commission are satisfied that the units are safe to operate. Additionally, SCE has released the statement on a pdf; click here. Note also that the SCE release includes a direct link to the new NRC oversight page constructed to cover the SONGS steam generator issues. KEPCO (Kansai Electric Power Company) intends to commence reactor startup at its Ohi No. 4 plant, located in Fukui Prefecture, Japan, on Wednesday July 18th, according to KEPCO's press release. The reactor is expected to achieve criticality on the 19th, and KEPCO expects to synchronize the generator with the grid on Saturday, July 21st and have the plant at full power by the 25th. At present, Ohi No. 3 continues to operate without fault and is indicating 101% rated power. In the primary plant, shock damping has been improved by way of improved mountings for heavy equipment such as the main steam lines. Internally to the reactor plant, changes have been made in the seal welds on pressurizer primary connection and on relief valve lines, with Inconel 690 replacing the previous Inconel 600 weld material. KEPCO states that stress corrosion cracking in other plants was the driving force behind replacing these welded connections. The plant has also received the latest model of digital control and indication equipment, considered necessary due to the obsolescence of the previously installed equipment (discontinued parts being the stated major problem.) According to KEPCO the entire control and indication as well as the protective logic are all new. Eddy current inspection of the U-tubes in two steam generators (B loop and D loop) was conducted with no abnormalities found. Secondary plant pipe wall thickness measurements were made at 965 different locations as well. It might go without saying, but during the shutdown the reactor was refuelled along normal lines with some new fuel inserted and some elements shuffled. Finally, post-Fukushima special inspections included (but were not limited to) inspections of the spent fuel pool, its cooling system, and physical integrity as well as the ECCS or Emergency Core Cooling System including turbine-driven pumps. Keep an eye on the APR Twitter feed (@atomicnews) for notifications of the startup of Ohi No. 4. Below is a press release from Westinghouse Electric. -- Westinghouse Vice President for EMEA Business & Development: "Deeper cooperation with Vitkovice will Further Strengthen Westinghouse's Local Supply Chain and Open New Opportunities for Exports Across the Region"
PRAGUE, July 9, 2012 /PRNewswire/ -- Westinghouse Electric Company today confirmed an important strategic partnership with Czech company Vitkovice a.s., in preparation for the potential construction of Westinghouse AP1000® nuclear power plants in the Czech Republic. In accordance with the partnership, Vitkovice will join the Westinghouse/Toshiba/Metrostav team to jointly offer as a potential fabricator of key structural and mechanical equipment modules, should the AP1000 reactor be selected to complete the expansion of the Temelin Nuclear Power Plant. The AP1000 has been designed to make use of modern modular-construction techniques, which allow many more construction activities to proceed in parallel. This reduces the calendar time for plant construction, thereby reducing the cost of money and the exposure risks associated with plant financing. These construction techniques are already being utilized with great success in the U.S. and China. This potential scope of supply represents a very significant percentage of the total plant construction. The strategic partnership marks a further important milestone in Westinghouse's ongoing activities to develop and subsequently deliver a highly competitive tender to CEZ, for the construction of two AP1000 reactors at the Temelin site in the South Bohemian region of the country. It follows a number of important exclusive Memoranda of Understanding (MOUs) between Westinghouse and major Czech companies, notably I&C Energo and Metrostav, in an effort to establish a strong, diverse and high-quality local supply chain. This new partnership builds on existing cooperation with Vitkovice, which includes a December 2011 MOU to explore opportunities to manufacture key components. "This strategically important partnership with Vitkovice, to fabricate and install modules for the proposed new Temelin nuclear power plants, clearly illustrates Westinghouse's deep commitment to localization in the Czech Republic. Supply development is critical to Westinghouse and that's why we think 'globally' but act 'locally.' The successful delivery of these modules will also help the power plants are built on time and on budget. "The fabrication of these important modules in the Czech Republic also represents an excellent opportunity for both Westinghouse and Vitkovice to eventually export these components throughout Europe, in anticipation of additional AP1000 reactors being built, thereby strengthening our regional supply chain base further and providing important additional opportunities to Vitkovice and other Czech manufacturing companies." "VITKOVICE MACHINERY GROUP has a long tradition supplying to the nuclear energy industry, both at home and abroad, with current annual orders in excess of several billion Czech crowns. The members of the Czech Machinery Cluster are also ready to participate in new opportunities and challenges in the industry. A qualified supply chain consisting of over 3000 trained and experienced individuals is ready to participate in the opportunities from the Temelin 3 & 4 project. VITKOVICE MACHINERY GROUP, as well as all the other member companies of the Czech Machinery Cluster, has long-term intentions to participate in the nuclear industry. Vitkovice is prepared not only for cooperation in the Temelin 3 & 4 project, but also on worldwide projects." The Westinghouse AP1000 reactor received Final Design Certification from the U.S. Nuclear Regulatory Commission (NRC) on December 22, 2011. Earlier that same month, the AP1000 was issued interim design approval in the Generic Design Assessment (GDA) process by U.K. Office for Nuclear Regulation. The AP1000 is also compliant with European Utility Requirements (EUR), confirming that it can be successfully deployed in Europe. To date, contracts for 10 AP1000 reactors have been placed around the world – four in China and six in the U.S. Construction recently commenced on four units in the U.S. after utilities there received their combined construction and operating licenses (COL) in February and March 2012 respectively. Construction on all four Chinese AP1000 units is progressing well and remains on schedule, with the first unit at Sanmen on track to produce electricity by the end of 2013. Westinghouse Electric Company, a group company of Toshiba Corporation (TKY: 6502), is the world's pioneering nuclear energy company and is a leading supplier of nuclear plant products and technologies to utilities throughout the world. Westinghouse supplied the world's first pressurized water reactor in 1957 in Shippingport, Pennsylvania. Today, Westinghouse technology is the basis for approximately one-half of the world's operating nuclear plants, including the design and supply of over 25 commercial nuclear units across Europe. VITKOVICE is member of the VITKOVICE MACHINERY GROUP, the most important Czech engineering group with a strong position in selected segments of machinery production and in the area of supplies of large investment assemblies. It incorporates approximately thirty companies. The group consists of a modern, extensive and unique production base, coupled with substantial know-how based on research and development. The VITKOVICE trade mark celebrated its 180th anniversary in December 2008. VITKOVICE MACHINERY GROUP is an important supplier of components for nuclear power plants. Pressurizers and steam generators manufactured in VITKOVICE serve in the Czech nuclear plants at Temelin and Dukovany, and also in other nuclear power plants outside the country, for example in Slovakia, Russia and India. Click here for Vitkovice Machinery Group's English language home page. Click here to see Vitkovice Power Engineering's page on nuclear power plant components. Various photos of components and descriptions are shown on this page. The components (steam generators, or parogenerátorù, and pressurizers, or Kompenzátory objemu) are shown along with indication of the type of nuclear plant for which they were built (the older VVER-440 plant or the new, much larger VVER-1000 plant) and the location of the plant for which they were built. Temelin, subject of the recent arrangements concerning Westinghouse, has two VVER-1000 plants. Most readers will note that the photos of steam generators do not look anything like those used in the USA, Japan, Korea or China. This is because the Soviet PWR plants by and large used horizontal steam generators which did not have a massive tube sheet and vertical tube bundles, but a central manifold type arrangement and two horizontal tube bundles. 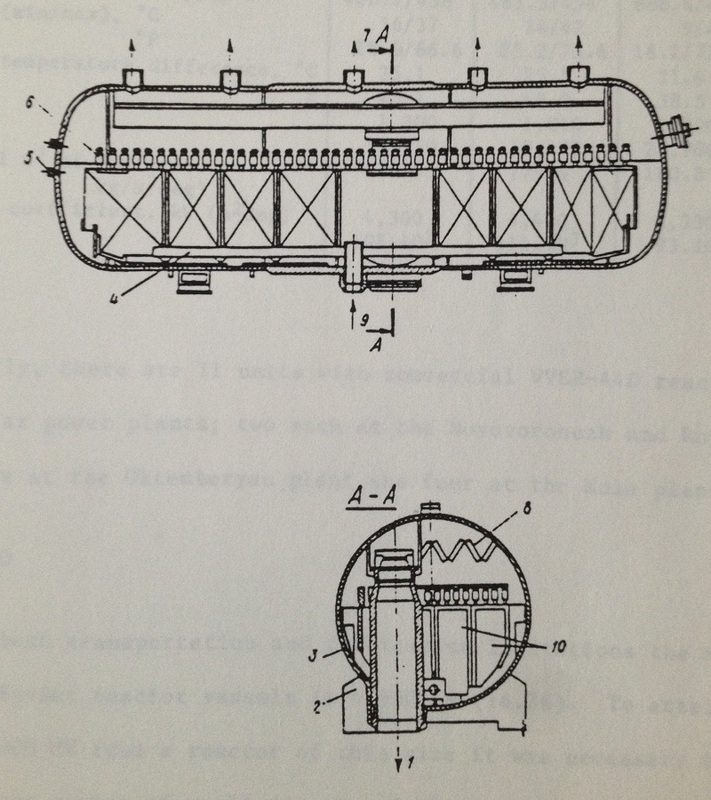 This arrangement was settled on after very early testing by the Soviet engineers indicated what appeared to be intractable problems with vertical, U-tube type steam generators; although horizontal type steam generators such as this tend to be less satisfactory in some characteristics pound for pound (including output and ability to separate steam for dry output) they have such improved corrosion resistance that most Soviet-era PWR plants (which are called "VVER" plants) were built with this style. There were two basic widely-built designs of VVER plant manufactured by the former USSR and later Russia (sometimes with licensee assistance, such as in the example of Skoda in Czechoslovakia.) The VVER-440 plant had one reactor, six horizontal steam generators, and two turbine generators. Each VVER-440 was rated originally 1375 MWt and 440 MWe net. This design was first completed in 1971, with one unit at Novovoronezh. 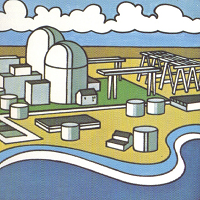 In the full normal production version of the design, a single nuclear power plant of VVER-440 type had four reactors and their associated plants in one installation. 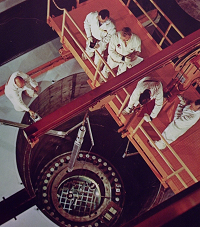 The VVER-1000 plant as originally designed had one reactor, four steam generators and originally two turbine generators; later, very large single unit turbine generators were developed (after no small amount of R&D on last-stage blading problems.) The VVER-1000 was originally rated roughly 3300 MWt and 1000 MWe net. These reactors are almost always seen installed in single units like Western style plants, but of course with multiple units side by side on the same site. Again, the first unit of this type went on line at Novovoronezh, but in 1980. Now that we've briefly (and very basically) delineated these two plant types, let's look briefly at those odd looking steam generators a bit more closely. From "Soviet Nuclear Power Plants," David Katsman / Delphic Associates 1986 we display two illustrations of horizontal type steam generators such as were very widely employed in Soviet / Russian PWR plants of type VVER-440 and similarly in type VVER-1000. First, a view showing the steam generator of a VVER-440 plant without the U-tubes. 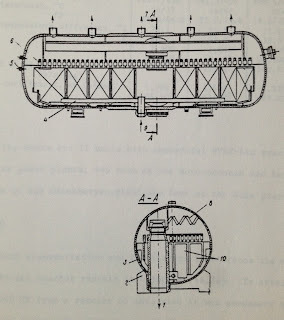 In this style of steam generator, the inlet and outlet plenums are two separate vertical cylinders built into the steam generator near the center. The many hundreds of U-tubes (normally austenitic stainless steel in most Soviet era plants) are piped to each of these, and run horizontally in each direction. "1" on the diagram's lower illustration shows the primary circuit outlet plenum path. "5" is the connection for one of the steam generator water level detectors. Right below that level is the normal high water level; the many cylindrical objects seen at roughly the height of "5" on the diagram but inside the steam generator are the primary moisture separators of centrifugal type. Baffle type separators are located above these. The five outlets on the top are the steam outlets. Below, an illustration of a similar design which shows the U-tubes. 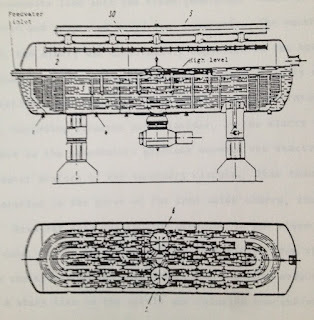 Many details of steam generator design and secondary side chemistry control are given in the volume "Soviet Nuclear Power Plants," but for sake of brevity I will just briefly detail the design principles behind these odd-looking but quite functional steam generators. Soviet assistance with the first plant at Reinsburg, in the former East Germany, which was a PWR type plant with vertical steam generator design having a heavy tube sheet revealed numerous problems with sludge, with various types of corrosion and physical damage that the Soviet engineers felt should not be controlled or mitigated by chemistry control or by blowdown, but rather should be completely designed out. This led to the type of steam generator seen above, with vertical cylindrical inlet and outlet plenum design to which are piped the many 1Kh18N9T stainless steel tubes. This design eliminates all problems in steam generators that are directly associated with the installation of a tube sheet, vertical tubes and natural circulation internal flow (on the secondary side.) However, one fault area that both this type and the vertical type do have in common is problems with support plates, since both employ spaced support plates along the length of the tube bundles for support and alignment. Also, the vertical plenum design is itself susceptible to larger scale corrosion cracking just like the U-tubes are. Beyond this, the horizontal model of steam generator has poorer steam separation capability when compared to vertical steam generators because of the extremely cramped area above the tube bundle for steam separation equipment. Also, according to Katsman, the steam load is "highly irregular" along the evaporative surfaces, which might lead to problems never seen in vertical tube steam generators. 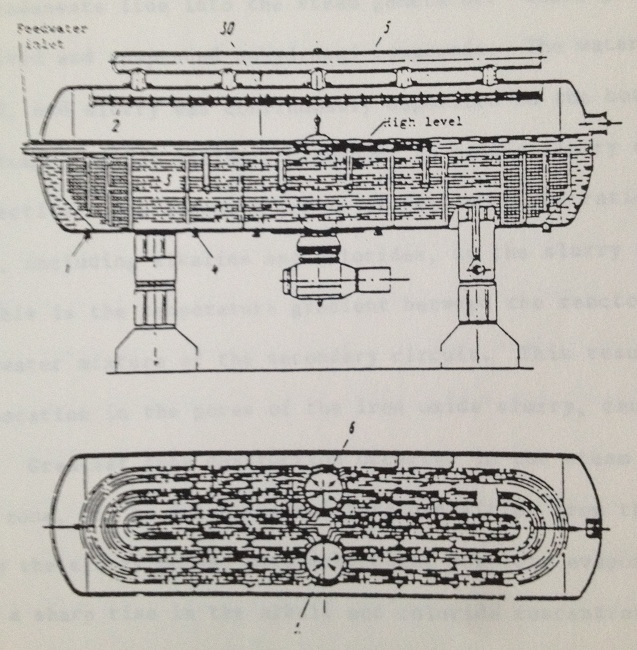 For these reasons, the Soviets (prior to collapse of the USSR) designed yet another style of steam generator for VVER plants which was vertical but still did not have a solid heavy tube sheet. Apparently production of this newer style steam generator had already been initiated around 1982, but did not enter wide service as today's VVER-1000 plants have horizontal steam generators. The newest design for the VVER-1200 also has four horizontal steam generators. These can be seen in this ROSATOM presentation. Click here to see a well done general presentation by ROSATOM on present nuclear power plant projects and construction of the first 1200 MW units, including horizontal steam generators. APR Note: The plants being discussed for Temelin by Westinghouse are AP1000 plants - these are the subject of the press release that leads off this post. The ROSATOM proposal is for VVER-1200 plants. 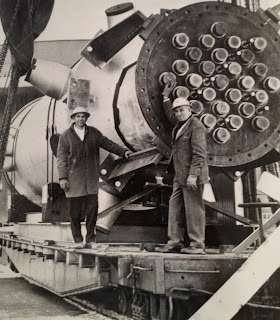 The unusual appearance of the steam generators in the linked website for Vitkovice and the general recent interest in steam generators by the public as a result of various problems at San Onofre lead to my digression on the subject of horizontal steam generator design and history. PRAGUE, July 2, 2012 /PRNewswire/ -- Westinghouse Electric Company today announced that it has submitted a fully compliant and competitive bid to CEZ, a. s. to develop and deliver a turnkey dual-unit AP1000 plant for completing the Temelin Nuclear Power Plant Units 3 and 4 Project. Westinghouse is eager to build upon its demonstrated success in the Czech Republic on Temelin Units 1 and 2. And, with more than 50 years of worldwide experience leading the nuclear industry, including current construction projects in the U.S. and China based on the advanced and certified AP1000 standard plant design, Westinghouse is confident in meeting the design, supply, construction, licensing and project criteria established by CEZ for the completion of the Temelin Project. "Westinghouse's proposal meets or exceeds all mandatory requirements established in the Temelin Tender to provide CEZ with the most economically advantageous proposal," said Westinghouse Electric Company interim President and CEO Shigenori Shiga. "We are proud of the significant effort and investment we have made over the past 20 years to develop the AP1000 and are confident that CEZ will benefit from the safest and most reliable next generation nuclear plant built available on the worldwide marketplace, and at the overall lowest total installed and operating costs. We now look forward to working collaboratively and actively with CEZ throughout the evaluation and negotiation phases to further refine the bid and details of the project to ultimately achieve a mutually acceptable agreement for completing the project." Westinghouse has formed a winning delivery team by bringing together the proven design and construction skills of Westinghouse and Toshiba Corporation, combined with the leading Czech construction company Metrostav a.s and Czech nuclear safety instrumentation and control company, I&C Energo s.r.o. The Westinghouse/Czech team will continue to add local partners in the coming weeks and months that will not only bring benefits to the Czech economy, but, just as importantly, complete Temelin at the highest of international standards while achieving schedule and budget commitments. As the AP1000 pressurized water reactor (PWR) is the most advanced nuclear plant design in the world, significant engineering, construction and manufacturing expertise will be transferred to Czech companies, providing substantial opportunities in future nuclear plant projects throughout the world. The Westinghouse AP1000 reactor received Design Certification Amendment from the U.S. Nuclear Regulatory Commission (NRC) in December 2011. Earlier that same month, the AP1000 was issued Interim Design Approval in the Generic Design Assessment (GDA) process from the U.K. Office for Nuclear Regulation. The AP1000 nuclear power plant is also compliant with European Utility Requirements (EUR), confirming that it can be successfully deployed in Europe. Moreover, the AP1000 PWR is the only Generation III+ design in the world to have received both U.S. and European regulatory approvals. Currently, contracts for 10 AP1000 reactors have been placed around the world: four in China and six in the U.S. Nuclear safety construction recently commenced on four AP1000 units in the U.S. after utilities there received combined construction and operating licenses (COL) from the U.S. NRC. First concrete pour is scheduled to occur on the first two AP1000 units in late summer to early fall. In China, construction of the four AP1000 units there is progressing well and remains on schedule, with the first AP1000 unit on track to produce electricity by the end of 2013. Westinghouse Electric Company, a group company of Toshiba Corporation (TKY: 6502), is the world's pioneering nuclear energy company and is a leading supplier of nuclear plant products and technologies to utilities throughout the world. Westinghouse supplied the world's first pressurized water reactor in 1957 in Shippingport, Pennsylvania. Today, Westinghouse technology is the basis for approximately one-half of the world's operating nuclear plants, including the design and supply of more than 25 commercial nuclear units across Europe. Kansai Electric indicates that Ohi No. 3 will be on the grid on Monday and will ramp up to full rated power over four days. Ohi No. 3 is a four-loop Mitsubishi PWR plant rated 3423 MWt / 1127 MWe.